STOCK INDICES VIDEO – 2nd Phase of the ‘INFLATION-POP’ Gets Underway! 2nd Phase of the ‘INFLATION-POP’ Gets Underway! 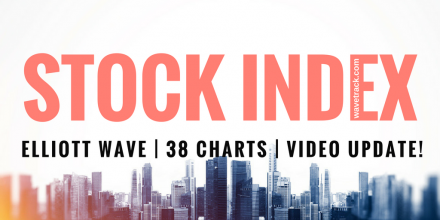 We’re pleased to announce the publication of WaveTrack’s 2017 video update of medium-term forecasts for STOCK INDICES! Since the inaugural edition of the EW-Compass report, you’ve asked for accompanying medium/long-term analysis in gaining a broader perceptive of Elliott Wave pattern development for many of the world’s major indices. 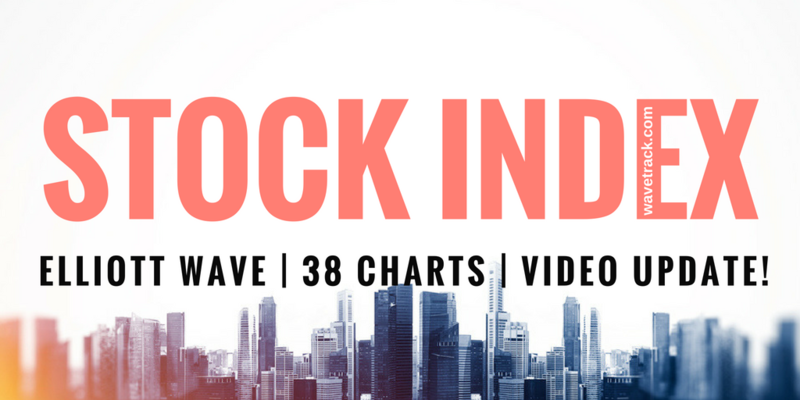 So we’ve taken many charts from our institutional Elliott Wave Forecast database and compiled them into a video series, publishing them twice yearly, each December/January, June/July. As the demand for more indices grew, so did our task in maintaining them to a sufficient standard – no problem! So now, we’ve set aside sufficient resources to ensure the medium/long-term outlooks are sent to you at key marker dates during the year. There are over 120 charts being maintained round the clock so it’s necessary to split the videos into THREE parts – Part I STOCK INDICES, PART II COMMODITIES & PART III CURRENCIES & INTEREST RATES. PART I Stock Indices VIDEO is available NOW! This latest update of U.S., European and Global/Emerging market indices covers 38 newly illustrated Elliott Wave forecasts of the medium and long-term time-series. Our chief Elliott Wave analyst and Founder of WaveTrack International, Peter Goodburn is again your host. Once again, he talks us through all of the main themes and up-coming changes that are apparent within the pattern development of the major markets. He also illustrates some of the major cycles for the benchmark S&P 500 index, expounding his articulate knowledge of cyclicity obtained from his 25-year study of luminaries such as Edward Dewey and W.D. Gann. Dow Jones & Fibonacci perfection! Peter’s work is absolutely unique – you’ll be taking a look at Elliott Wave counts never seen anywhere else – GUARENTEED! These were just two hints that markets were going to get off to a shaky start, but then turn around to resume larger uptrends! Get Up-to-date on the next 6-month outlook – & beyond! As an Elliott Wave Compass subscriber, we’ve ensured you have access to this Institutional–grade analysis at very modest expense. PART I Stock Indices VIDEO is available now, at only $48.00! We’ll send you a personal link so that you can watch the video, anytime at your convenience. And if you’d like to subscribe to the up-coming COMMODITIES & CURRENCIES videos in PART II & PART III, you can receive ALL THREE for $96.00! – that’s a saving of 33% per cent! •	Triple Package offer – $96.00 (saving 33%)! Since then, Newmont Mining has traded higher by an amazing +200% per cent! Each video runs for at least 1 hour 20 minutes and it’s packed with SPECIFIC Elliott Wave price-forecasts (the Stock Index Video is already 1 hour 50 mins. long!). BONUS! Each of the 38+ charts illustrated in the VIDEOS will be created into a .pdf document/report and sent to you so that you can always keep these to refer to! PARTS II & III will be available in a few weeks’ time (2017!) – we’re working on it! HOW CAN YOU RECEIVE THE VIDEO FORECAST? To receive your VIDEO UPDATE please click here to contact us. – Please state if you wish to purchase the SINGLE VIDEO for STOCK INDICES for USD 48.00? – Or opt for the TRIPLE PACKAGE for USD 96.00 in total? – Next we will send you a PayPal payment request and provide you with the video link & PDF report once confirmed. We’re sure you’ll reap the benefits – don’t forget to contact us with any Elliott Wave questions – Peter is always keen to hear you views, queries and comments.